We travelers will often see variations of this common phrase at popular sites — “Take nothing but memories, leave nothing but footprints.” It’s a good reminder not to litter and protect the environment for future visitors to enjoy. After many different encounters throughout my travels, it appears there are much more than litter one can leave behind without knowing. Has anyone, young or old, asked you for money? How did you respond to that? Did you feel sorry for them? This is quite the common encounter while traveling through developing countries and it happens even more to those who takes a lot of pictures. In Bolivia, I took pictures of a flock of sheep we crossed path with and the next thing I know, the sheep herding grandma asked me for money. I blanked out for a second because we were in such a small town, and usually small towns have the most hospitable people. She took my silence as a rejection, or incomprehension, and put her hand out then repeated the request (in Spanish) even louder. I was always ready for kids asking money and had pencils in my backpack, but not grandmas; otherwise, I would’ve brought reading glasses or something. I handed her some pencils, and she shook her head rapidly. “Pesos!” she said. For that split second, I had an inner urge to give her some change. But instead, we walked on. I just don’t see any good come out of perpetuating this money begging behavior. While on a “home visit” tour, the organizer recommended having tourists bring small gifts such as snacks, fruits, supplies, etc., instead of money. Before I left for this trip, I got a pack of pencils because giving out sugar, in my opinion, equates to cavities and bad habits for kids. In the Philippines, some kids were trying to make a buck with sand art. We got them chicken skewers and invited them to have a quick dinner with us instead. They seem to prefer that over money. Bottom line, giving money to kids is easy, but it’s questionable whether it’ll help them. Why not give something you know they will need? Have you seen other tourists take natural resources as “souvenirs”? Most visitors may not return again to the cities they travel to, and to have something to remember these places by seems reasonable. A fallen leaf? A small bag of sand? I brought back a couple of pen sized pieces of driftwood from Washington state. All insignificant things, right? They will biodegrade eventually. It’s not until I went to Kenting National Park in Taiwan for a diving course and witnessed the growth potential of “insignificant” souvenirs. As we were prepping the gears for a shore dive, we (including divers from different schools and three other cars full of people) saw two Chinese tourists with…and I kid you not…arms full of rocks from the beach. ROCKS. Of all sizes, larger ones about a cantaloupe. Maybe mixed in with some dried corals. Their group of friends shouted from the tour bus that they need to hurry up. Meanwhile, a diving coach said, “Hey you guys can’t take those, this is a national park, and you can’t pass customs with it.” and points to the sign. The two rock smugglers put down arms full of rocks, scratched their heads, murmured something to each other and just when everyone thought they were about to walk away, they grabbed the smaller pieces and ran like mice in a rice field, back to the bus. A few weeks before this incident, Taiwanese news reported a significant decline in river rocks by the shore near Taipei, which can impact the entire ecological system of the river. It all begins with one person taking one harmless river rock. A traveler’s brain is constantly being stimulated by their surroundings, the people, the unknown. It is so easy to focus on digesting new information that we forget, the locals of the places we’re visiting, are also learning about us. Why did you litter? Are you flashy? Demanding? Where are you from? Everyone from your country must be the same way. 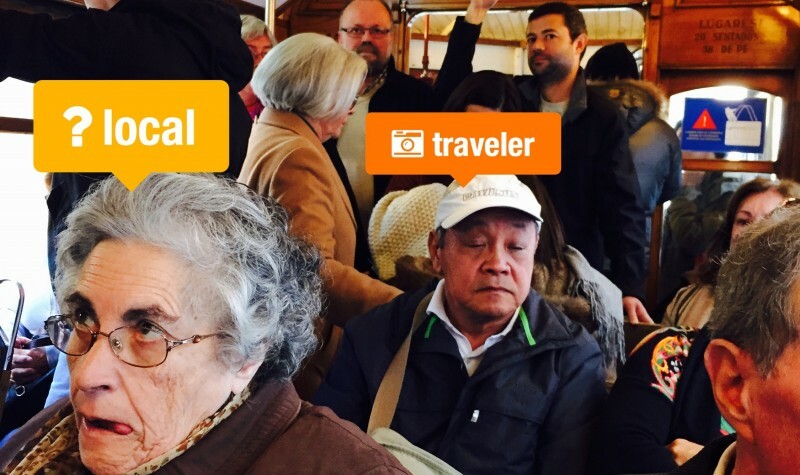 What I gathered from other travelers, ironically, most agree that American and Chinese travelers are highly distinguishable based on some similar traits; loud, entitlement, always in a rush, etc. Just to toss out some more stereotypes, Europeans are laid-back, Canadians and Australians are outgoing, Japanese are gentle and polite. The list goes on…the point is, you, the traveler, is the best and worst propaganda for your country. What impression do you think you leave? Anything else a traveler should take into consideration?